This post first appeared on http://engenbooks.wordpress.com/ on October 3, 2011. Engen Books continues it’s winning streak with it’s international titles by re-releasing it’s most international collection,Compendium. First released in 2009 at the first West Coast Con, Ellen Curtis’ breakout titleCompendium broke Engen sales records for both Chapters and in-person sales in it’s first week, records that remained in place until the release of Ellen’s debut novel, Infinity. 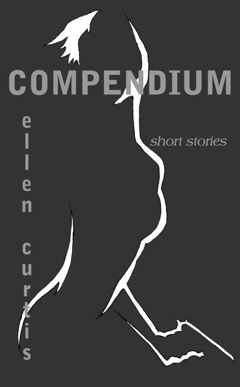 Compendium features three stories by Curtis: The Tourniquet Revival, At Midnight the Dawn and Falling into Fire, and features Engen’s most international cast, with characters from Europe, America, and beyond. Reedited and redesigned, Compendium is ready for it’s upcoming re-release. It will be available on Amazon in early November, but entertains it’s official launch at Hal Con 2, November 13 and 14, 2011.